Russian energy company seeks to recover $30 million from Summa subsidiary | Russian Legal Information Agency (RAPSI). MOSCOW, December 24 (RAPSI) – Russian energy company Federal Grid Company (FGC UES) has filed two claims with the Moscow Commercial Court, seeking to include over 2 billion rubles ($30 million) in the creditors’ demands list against Global Electro Service, a subsidiary of Summa Group, the court ruling reads. The claims will be heard on January 23, 2019. On December 21, temporary manager of Global Electro Service Mikhail Andreyev claimed that former heads of the company avoid transferring him documents. Earlier he filed a lawsuit against ex-CEO of the company Rostislav Kolomak seeking to recover compensation for failing to comply with a court ruling. According to Andreyev, ex-head of the debtor company did not comply with the court’s ruling of August 6 introducing supervision at the firm. The ruling read that Kolomak had to provide the temporary manager with a registry of property, including property rights and other documents. 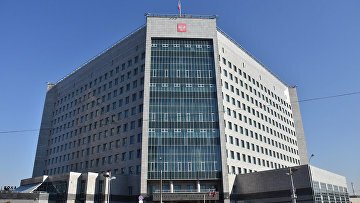 This summer, the Moscow Commercial Court introduced a supervision procedure against Global Electro Service on the request of NT-Com Engineering. On March 31, the Tverskoy District Court of Moscow detained Summa Group owner, businessman Ziyavudin Magomedov charged with organizing a criminal group and large-scale fraud. During the court hearing, an investigator noted that there are four more defendants in the case with two of them hiding in the United Arab Emirates. Magomedov himself vehemently denied wrongdoing and said that all of his actions served development of his business. The defendant’s lawyer Maria Belyavskaya said that there was no indication that Magomedov committed a crime as an individual and as a businessman he may be only suspected of economic crimes. Investigators believe that Magomedov organized a gang and embezzled 2.5 billion rubles ($43.5 million) from the state budget moving some of these assets outside the country. Other defendants in the case are his brother Magomed Magomedov and ex-CEO of construction company Intex Arthur Maksidov. 12:59 24/12/2018 Russian energy company Federal Grid Company (FGC UES) has filed two claims with the Moscow Commercial Court, seeking to include over 2 billion rubles ($30 million) in the creditors’ demands list against Global Electro Service, a subsidiary of Summa Group.